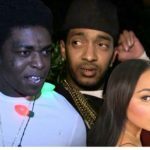 Police have arrested the Killer of recently murdered American rapper Nipsey Hussle. The Los Angeles Police Department made the announcement through their Twitter account yesterday night to the excitement and happiness of the public who have been saddened by the callous killing of the anti-gang activist. 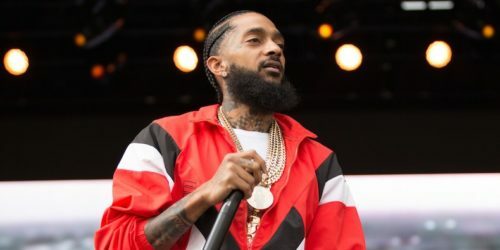 You would recall we brought you news yesterday about the LAPD announcing that they have identified the suspect who shot Nipsey who was in front of his store in Los Angeles in cold blood. 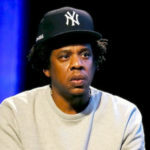 But as at the time of the announcement of the identification of the suspect whose name is said to be Eric Holder, the police pleaded to the public to provide them with any information on how they could apprehend him as they have worked tirelessly without any breakthrough (as at the time of the announcement). 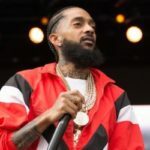 However just few hours after the announcement, the police have indicated that the suspect who shot Nip; Eric Holder, has has finally been caught. 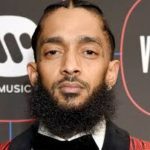 It is been reported that on the day Nipsey was shot, he got into an argument with Eric Holder who later returned with a gun and shot Nip and two other men. 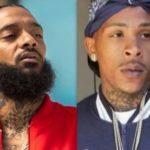 The two other men survived but Nip died as a result of gun shot injuries to the head.